· Prevent the Seller from Going Around Your Back: In Step 6, you'll learn how to secure every real estate deal from this day forward. · Marketing for Lease Option Buyers: There is specific language you'll need to know to build your marketing ads. We will cover exactly how to write the headline, body and call to action. · Lease Option Contract with Buyers: We will fill out a REAL, ACTUAL CONTRACT, line by line with the buyer. 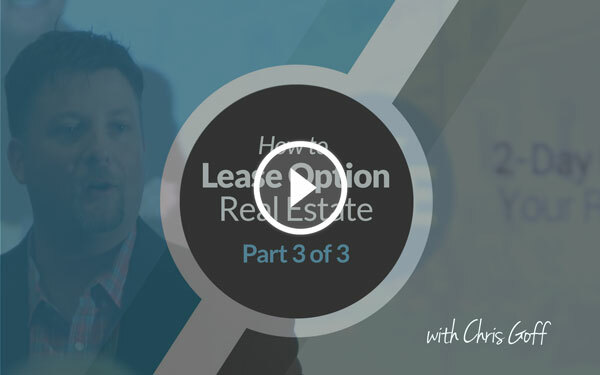 · How to Close the Deal: You will finally learn how to close the deal, duplicate and build a business with lease options. More good news is that you don’t need to be an experienced investor, have a college degree, work the business full time or have a Real Estate License to get started in the Lease-Option business.